Consumers are turning to search engines to get the information they need about products and services. This means that, in order to compete, your business needs to have a high ranking especially within the results for search engine giants like Google. The best way to accomplish this is to make sure your site employs a solid SEO strategy. Product Information Management (PIM) software can be a useful tool for creating keyword-rich content across all pages on your site and all your social media platforms. 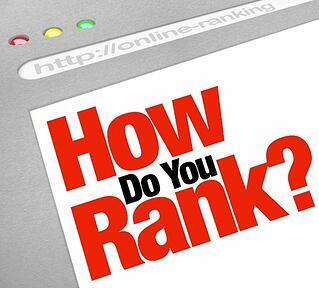 PIM software can help you raise your search rankings which will, in turn, boost your sales and increase your profits. Here are seven key ways a PIM system can benefit your SEO strategy. Optimize keywords to populate pages PIM software can help you integrate optimized keywords into your pages. When you are trying to sell a product or service, it helps to discuss in turns with which your customers are familiar. If your marketing language is different than the language your customer is using to discuss your products, they are unlikely to find you via a search engine. It's helpful to check out product reviews to get a feel for the wording and tone for which your customers may be searching. PIM can help you determine what keywords your customers are using most often to find your product so that you can incorporate those words into your SEO Strategy. Optimize keywords across social media Social media platforms are becoming and increasingly valuable way for your business to attract customer attention. It is important that your posts on accounts such as Facebook, Twitter, Instagram, and Pinterest also be optimized for search engines. Product information management software can help you take the keywords that are showing up in search engines from your pages and transfer them to your social media presence. By using similar keywords across platforms, you can build a recognizable brand and business that your customers will be able to find with ease. Leverage existing brand content If you have already created content for your brand packaging or advertising that would translate well to your SEO strategy, a PIM system can help you integrate this content for SEO. A perfect example of how this strategy can work for your business can be seen by looking at the way that the popular pharmaceutical brand Pepto Bismol has used the information on their product label as search engine key words with amazing success. Create unique content One of the biggest mistakes made by retailers and other businesses is using information directly from the suppliers or manufacturers of the products they sell. While this would seem like a good strategy, it is a failure where SEO is concerned. To stand out among other results, you need to have different and distinct keywords. Product information management can help you set yourself and your products apart from the crowd. By creating unique content in your product descriptions and across your site, you'll be able to gain a higher ranking than if you stick with the boilerplate information that others are using as well. PIM can help you put your own spin on things. Maintain consistency across your brand. Get recognized by customers by being consistent. Using a PIM system as part of your SEO strategy can help you use the same keywords across your brand so that customers can recognize you and your products. Consistency is key for successful SEO. Strong and consistent keywords send a solid message about your brand and give customers a feeling of familiarity that can easily lead to increased revenue for you. Keep customers' interests with strong imagery When you've created unique, keyword-rich content across your pages and platforms, you have the added advantage of keeping customers' interests. They are much more likely to click on your product instead of the one further down the search results that does not create as much of a picture in their mind or evoke a distinct impression. An improved SEO strategy also means an improved image for your customers. Easily integrate with tools such as Google Manufacturing Center Google already has some great tools in place to help businesses get accurate product information to customers. By signing up with Google Manufacturing Center, you can provide Google with data feeds from your product catalog that can easily be shared with prospects who are searching those terms. PIM software makes this integration much more expedient for you and helps leverage the power of Google for your brand. Integrating with already established tools is a great way to get the word out about your products. With product information management software, you can optimize your SEO strategy and boost your search engine rankings in the most efficient way possible. Our product content experience system can help your business improve product content and refresh it often, two functions that are critical to your SEO success.